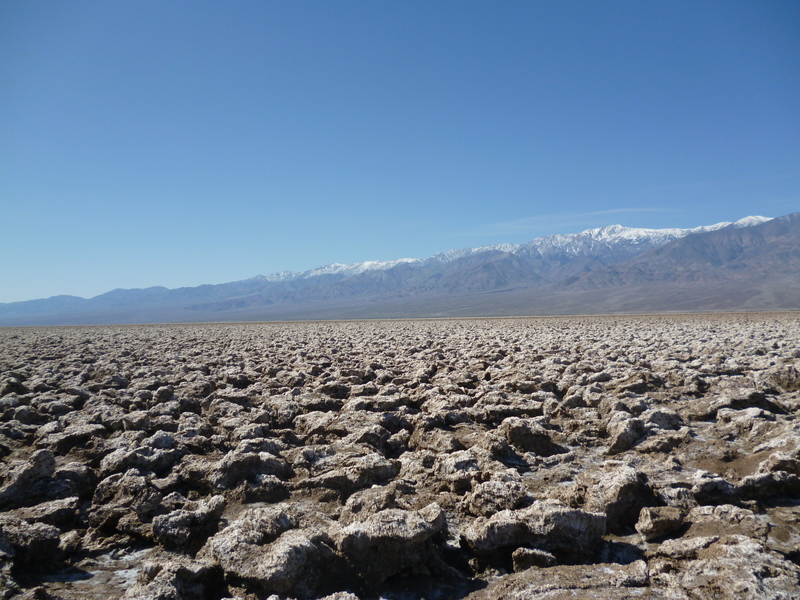 Death Valley really should be called something else in the springtime. 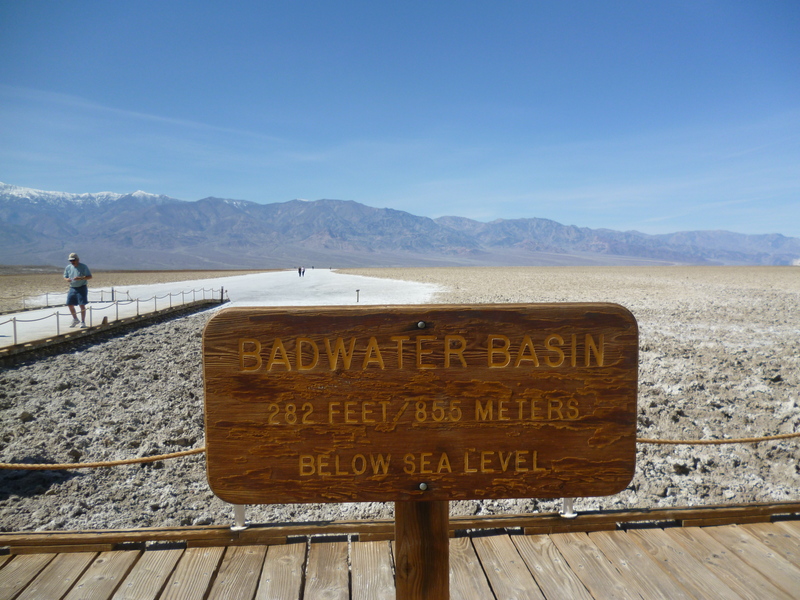 I’ve driven through it before in the summertime and the heat is so oppressive that you can only think of getting out. 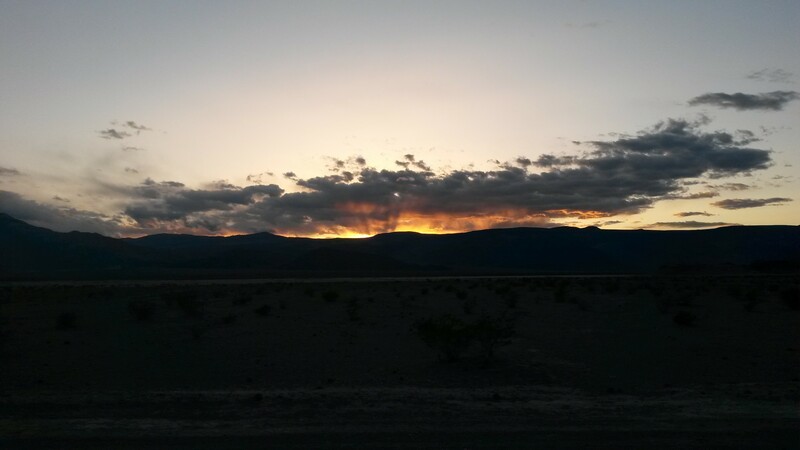 However, Pam and I arrived this time to spring showers, cool air and a green desert that has to be one of the most beautiful places on the planet. 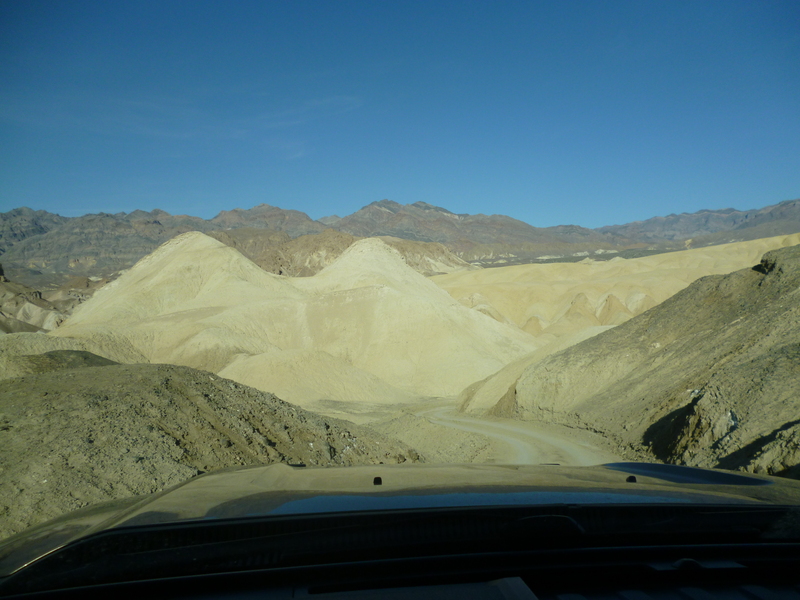 If you like dirt roads through beautiful areas, dispersed camping by yourself or with friends, hiking and taking in natural beauty then Death Valley is the place for you. 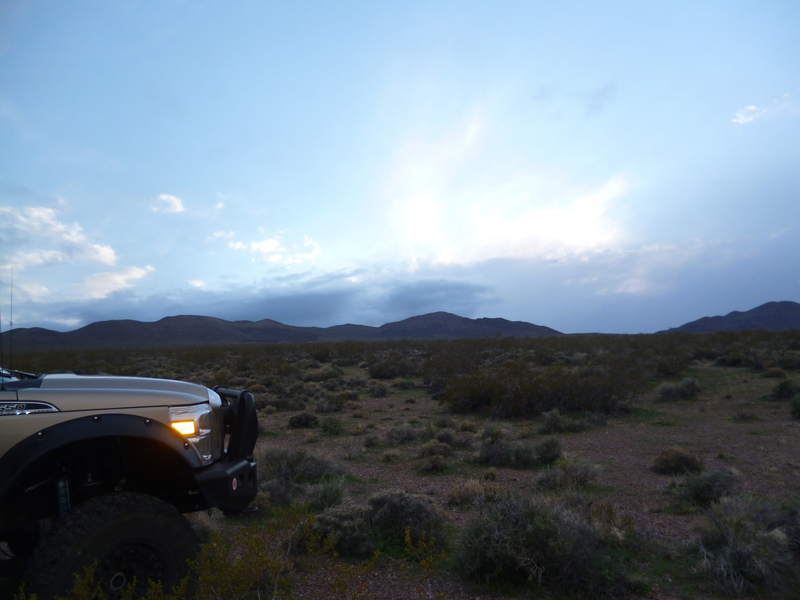 We did a little pre-planning for the trip by checking the spots we needed to see and stopped into the ranger station when we arrived to pick up a back country map of where to drive and camp away from the gravel lots with painted lines and numbers there that are the designated campsites. 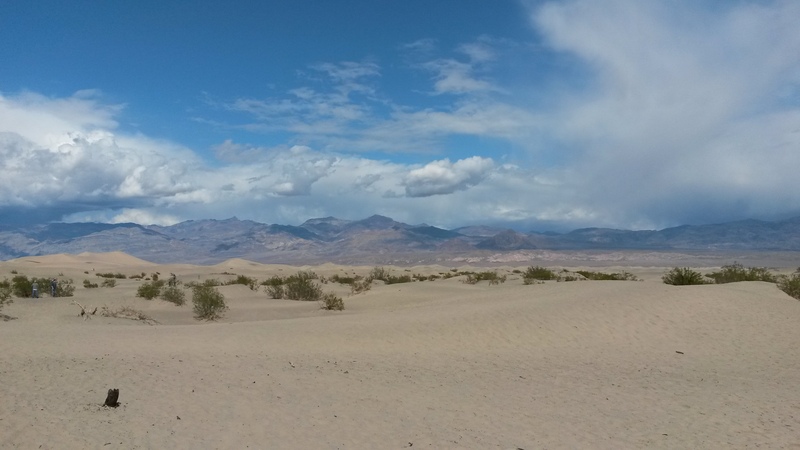 We drove from home through a winter storm of rain, sleet and snow to arrive at Death Valley in the afternoon. 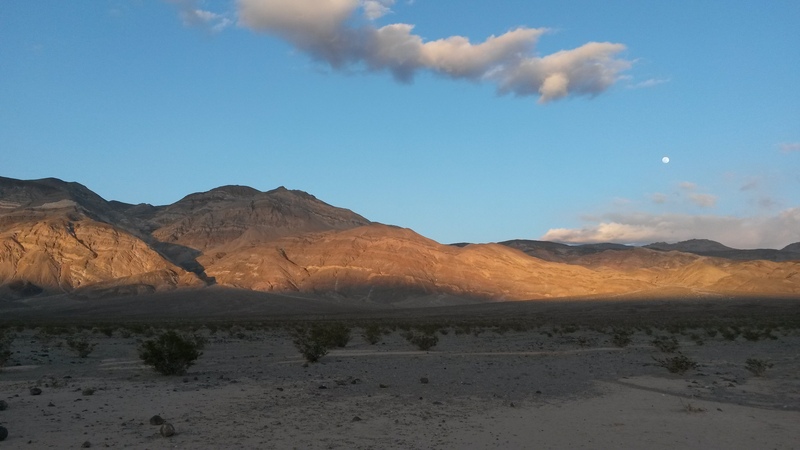 We fueled up in Pahrump, a little town halfway between Vegas and the park, which was a great idea seeing that we covered over 400 miles inside the park and gas was over $4 a gallon in the one or two stations within the park. Since our vehicle has a range of 900 miles on a full tank we didn’t have to pay those prices. 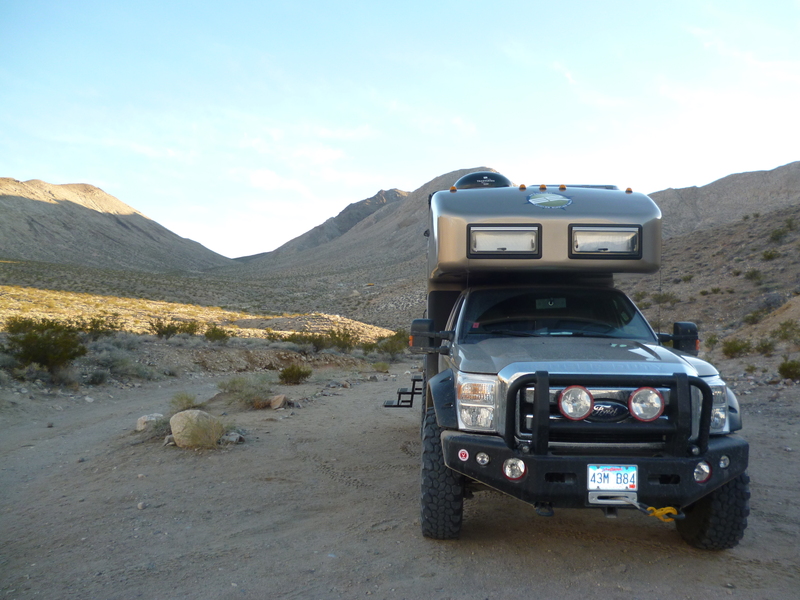 We put a little more gas in Pahrump on our way home and drifted into town with 6 gallons left in our 90 gallon tank. Probably a little too close to empty but what’s life without a little adventure. 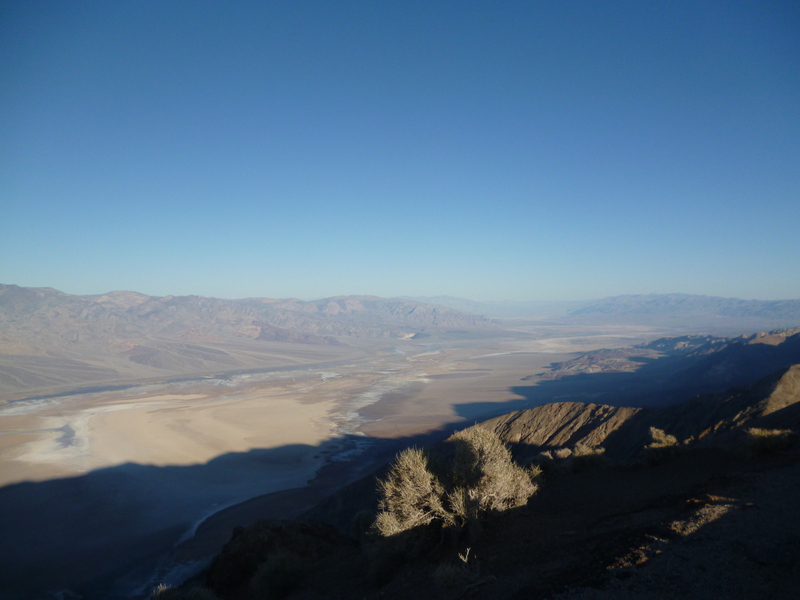 Death Valley is really several valleys separated by the mountains that run through it. 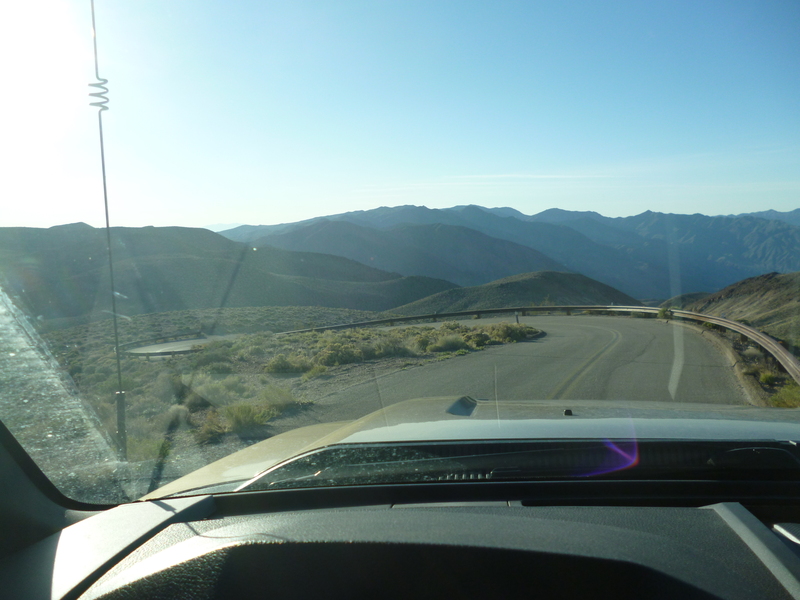 We drove from below sea level to over 4000 feet in elevation at least once a day covering the park. 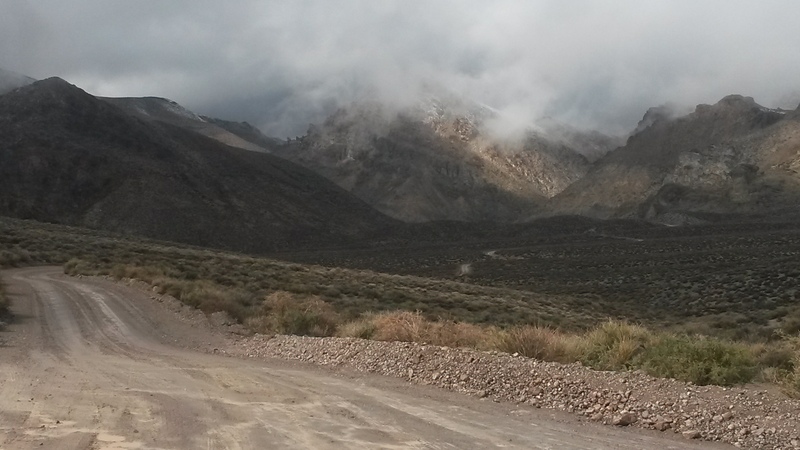 The north end of the park was closed due to snow blocking the road, yeah snow in Death Valley! We camped the first night in the foothills of Greenwater Valley and watched the remnants of the winter storm transition into a beautiful sunset. 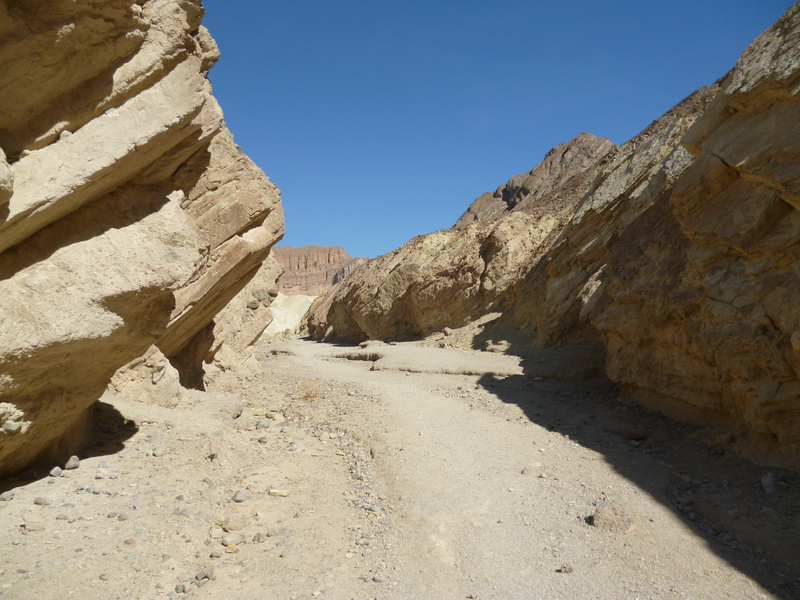 We drove through Titus Canyon, which has a slot section the last mile or so, but the real beauty was the 20 miles through the mountains getting to the slot. The vehicle limit is 25 feet and at 25 feet there were a few switchbacks that took every inch of road to get around without backing up. 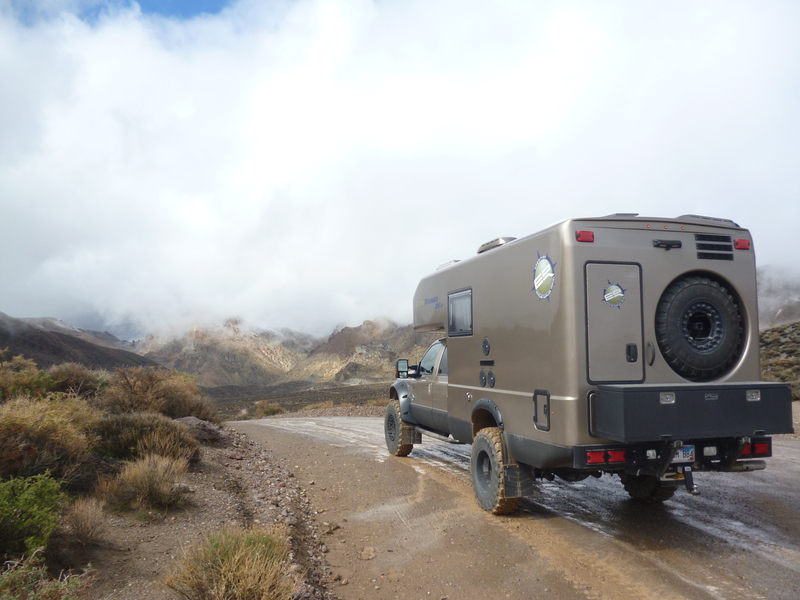 It rained, sleeted and snowed on us during the drive and I had to put the roamer in 4 wheel low and first gear to keep the 6 tons of vehicle from sliding down a few of the steep muddy descents. 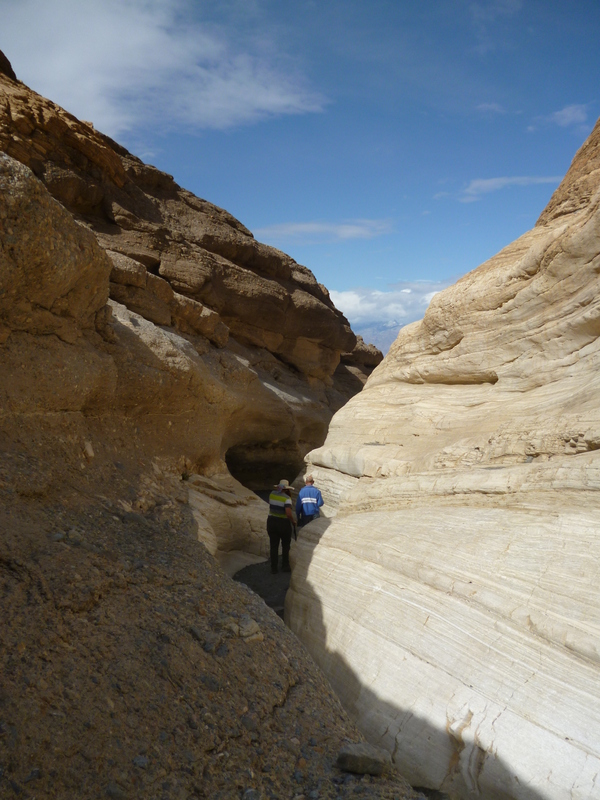 We did fit through the canyon at the end, which was a good thing since it is a one way road due to its width. 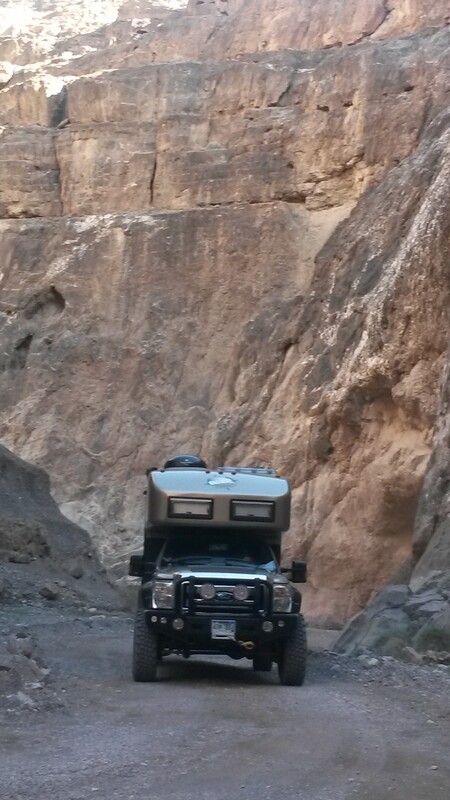 We then made our way to the famous rack track, where the rocks mysteriously slide across the mud. Typically the lake bed is hard crusty mud, but we saw it with water over parts of it due to the rain. 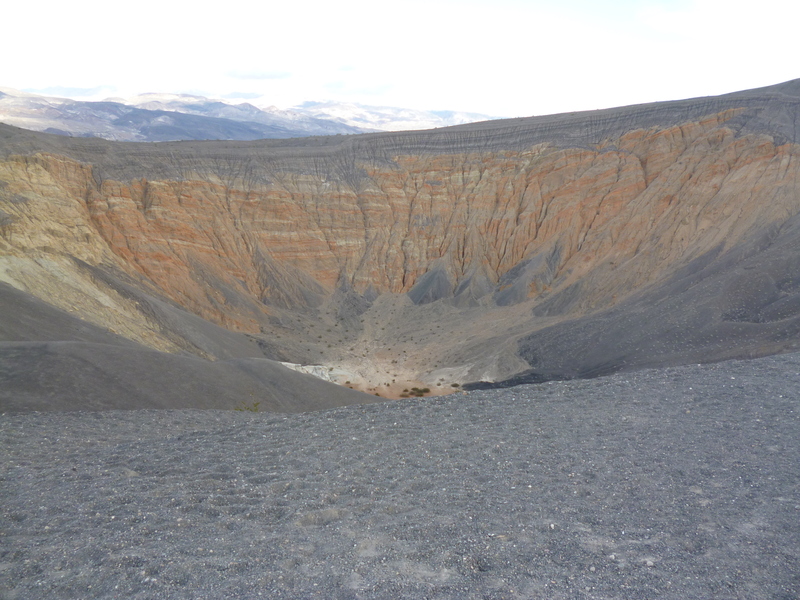 We camped there the night and it did drop to near freezing giving possible proof that the rock slide on ice during parts of the year. 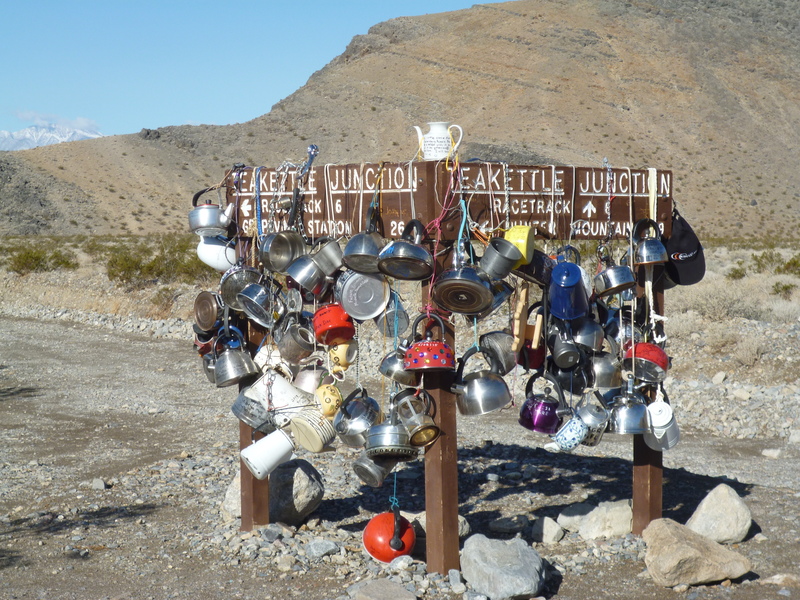 We stopped at Tea Kettle Junction on the way out from the rack track and added a new kettle to the collection. We’ll see if it’s still there when we go back sometime in the future. 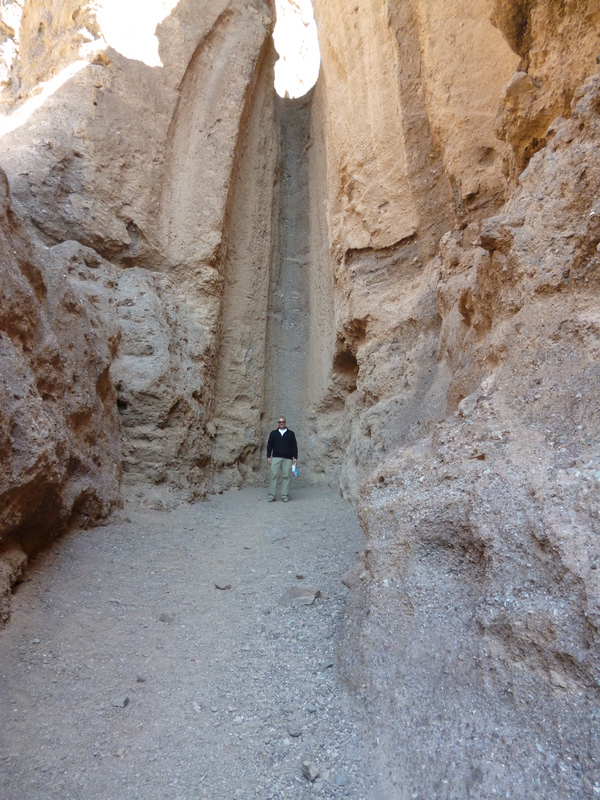 There were many areas to explore in the park. 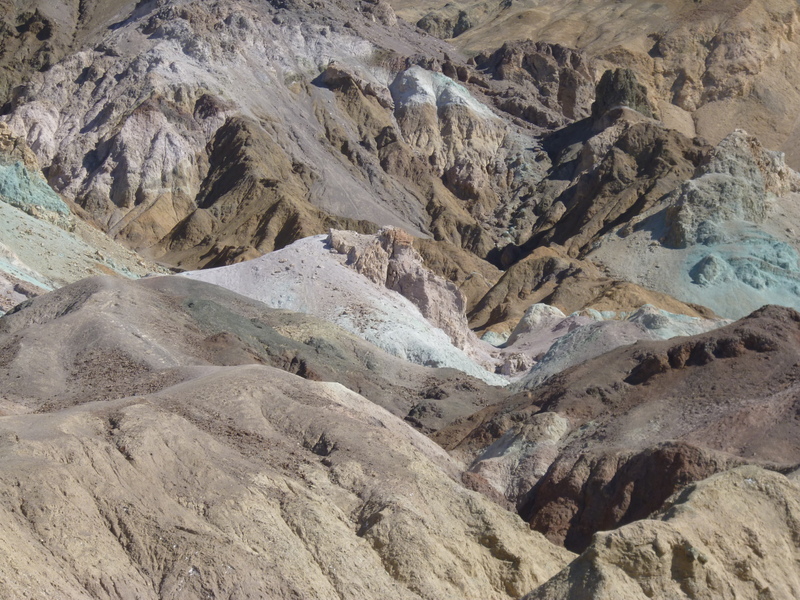 And the spectacular colors of the mountains …. 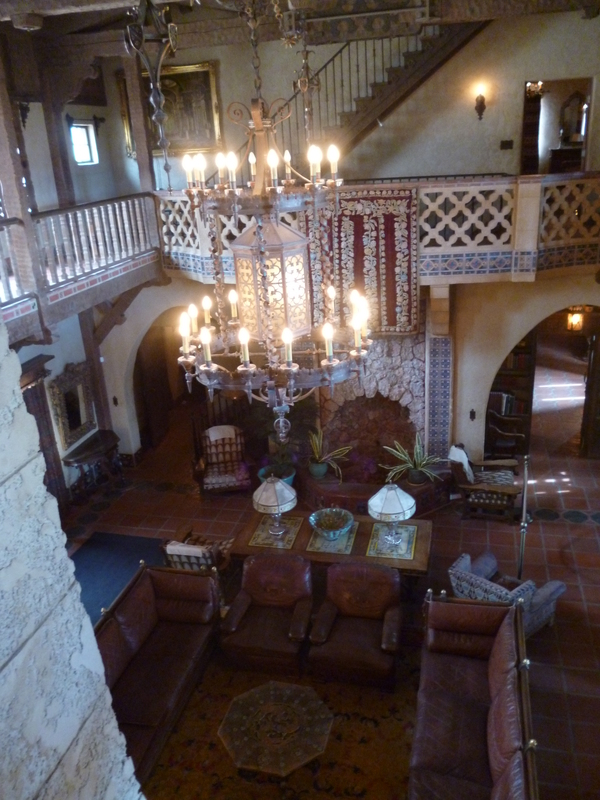 Since we have a National Park pass the only thing we paid for the entire trip was a tour of Scotty’s Castle, which is a must see and hear the story behind the place. Driving around was fun even with the distances traveled due to the unique roads there, both paved and unpaved. 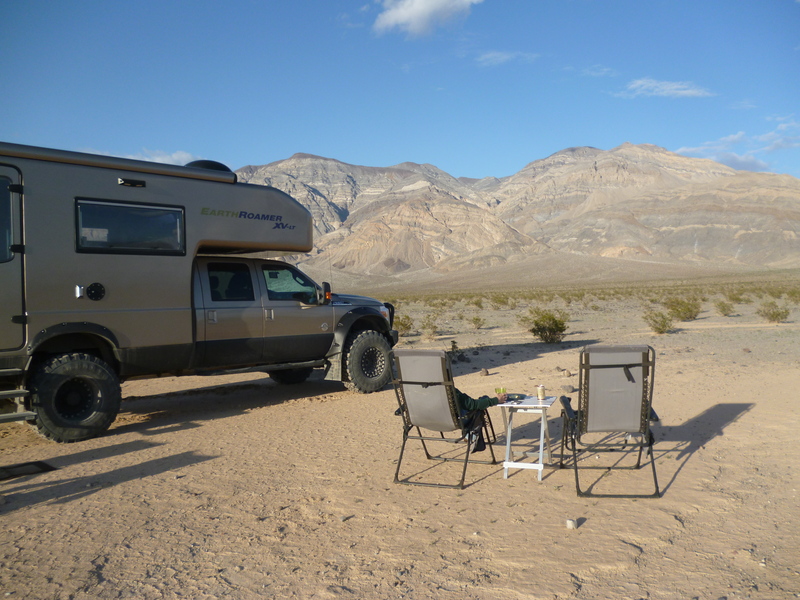 We camped one night in Panamint Valley that is now one of our top 5 places to camp. 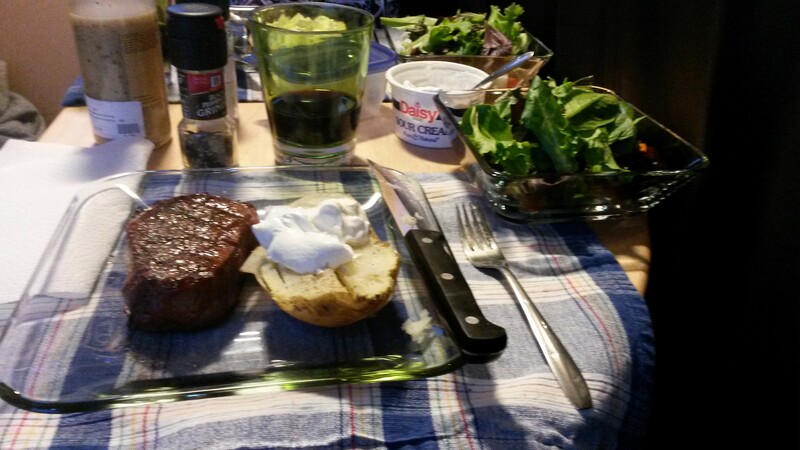 Had a great happy hour and an awesome meal cooked on the weber …. 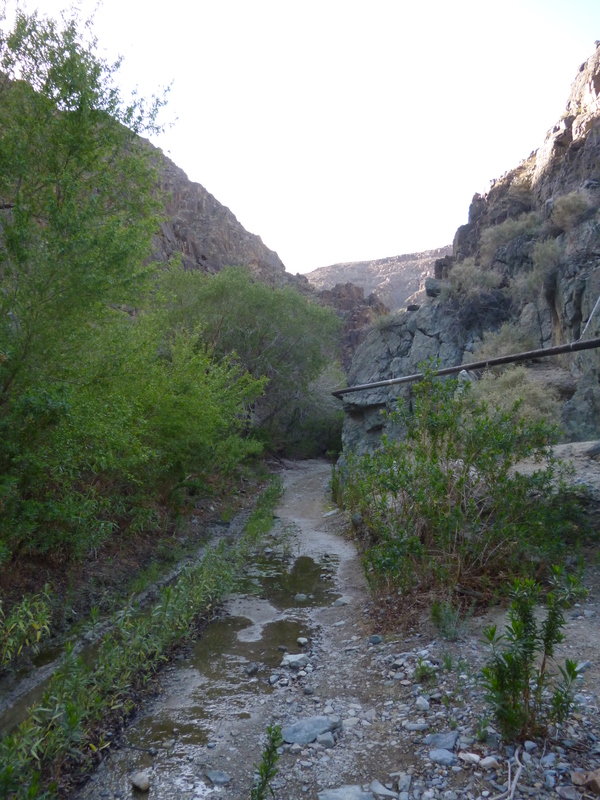 There are many good hikes in the park, but none that I would want to do in the summer heat. 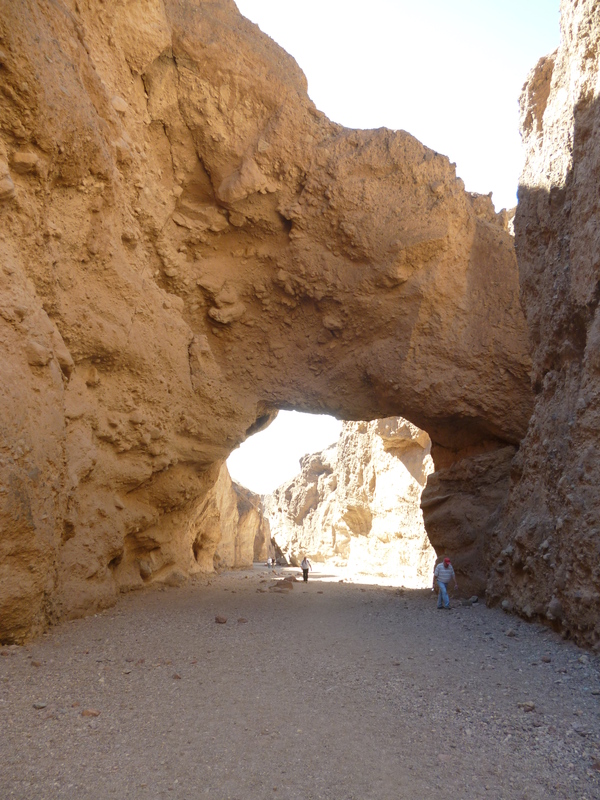 Natural bridge was very pretty…. 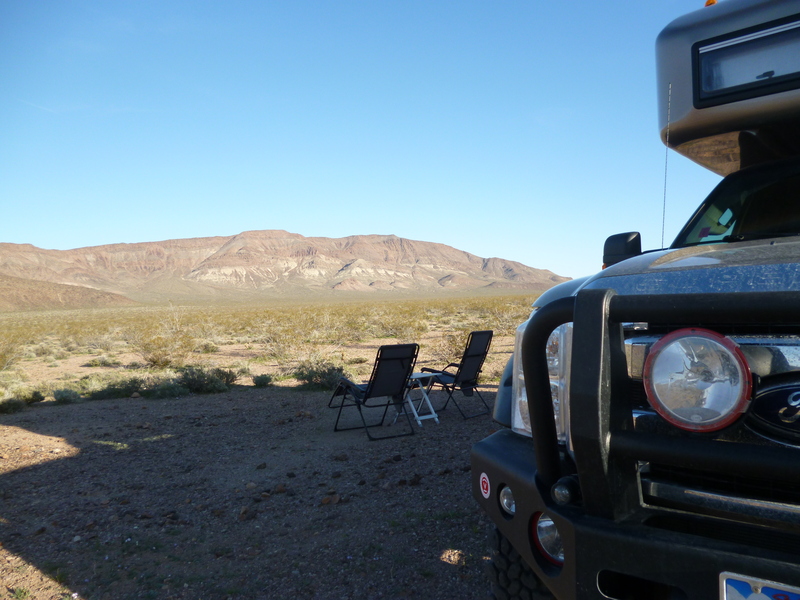 We camped the last night in another spot in Greenwater Valley. 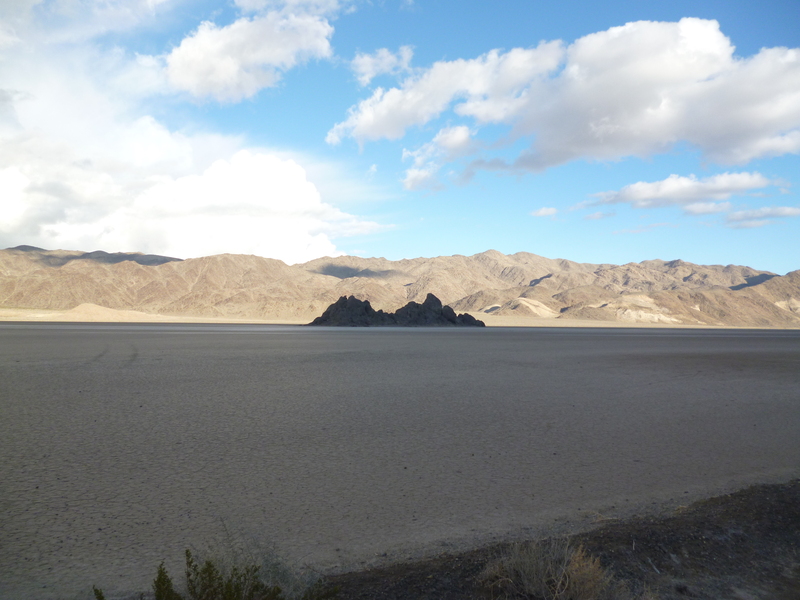 Death Valley is definitely a place to visit in the winter.